The name says it all.Three Easy Pieces three bolts and lots of nice climbing for a short climb. This is my favorite climb at the Upper Vadar crag. The moves are fun and the holds are good for the most part. 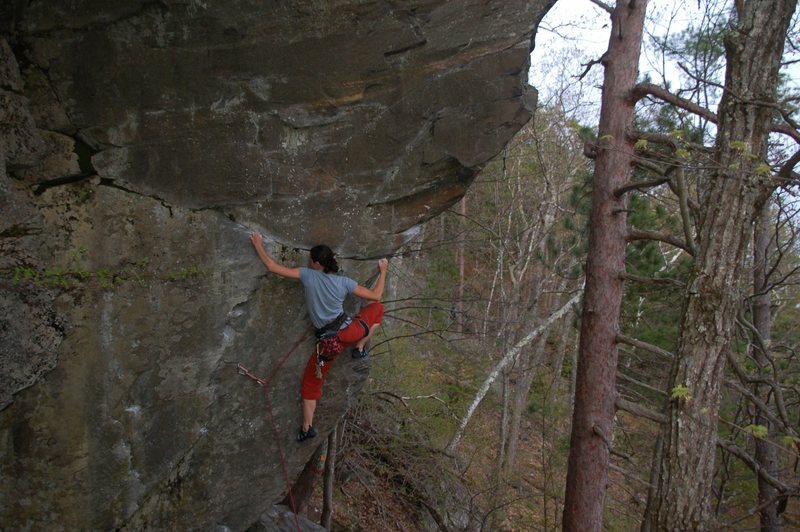 A good first 5.11 if you are just breaking in to the grade (as long as you like steep stuff). Climbs the far left arete. From the easier climbs walk down and left around the corner to the steep face follow the left-most line of bolts. 3 bolts to anchor. Stick clip the first bolt. Really fun, kinda like a shorter Social Outcast, and about equally annoying, but not terribly hard to clean. This is a great route! I agree that the crux is the short traverse and then the crossover to come around the corner. It hasn't been mentioned, but sinking the right heel in instead of standing on the right toes made the crux a lot easier for everyone in my group. The jugs at the end are awesome, but move quickly on a cold day otherwise your hands will go numb before you reach the chains!